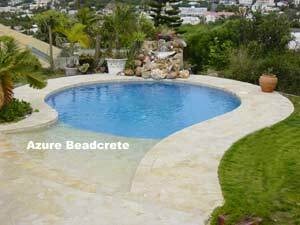 Beadcrete ® is a patented range of innovative concrete surface finish products comprising three individually engineered products for specific surfacing of Pools, Traffic Safety & Tile Grout. 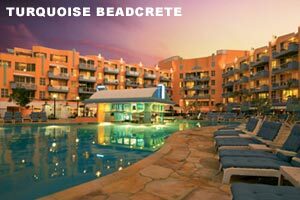 Beadcrete ® is a cement based, factory premixed, innovative finish for masonry surfaces. It contains the latest technology and innovations in graded aggregates and polymer modified cements. This stunning concrete finish is applied and finished in a similar way to exposed aggregate, yet it is much finer, and hence, much smoother. 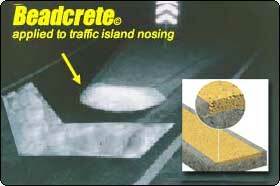 Beadcrete ® has many advantages over its predecessors in terms of appearance, texture, lower porosity and durability. Excellent adhesion, cohesion and low permeability are achieved by the use of the patented intellectual property. Exclusive rights have been granted via licensing agreements by the patent holder for these products to be used in exclusive territories. This is an Australian innovation, made in Australia & the USA from local and imported ingredients. 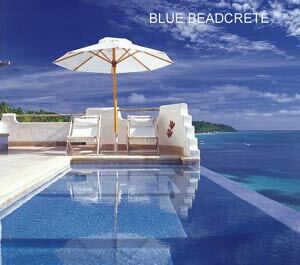 Already exported for exclusive installations, Beadcrete ® is admired by all those who witness the sheer beauty its effects provide. 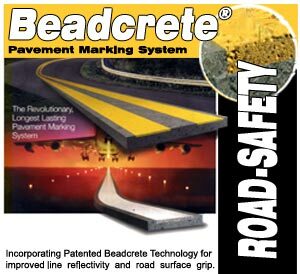 Beadcrete ® "glows" under both natural and artificial lights. 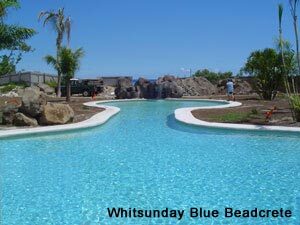 Beadcrete provides a superior color range including custom colors. The results are stunning. The surface has a 3-Dimensional effect. Available in a range of designer colours, this remarkable finish enhances the visual effect contemporary architecture demands. Reinforced concrete swimming pool finish. Ideal for spas, decorative ponds, water features, feature walls, etc. eg: render, pebblecrete, concrete, fibro, a/c sheet. statues, bird baths, tiles, blocks, pavers etc. Contact our distributors for all enquiries concerning inspections, samples, contacting references, distribution opportunities, product diversification and specific installation procedures. Geometric Pool & Innovative 6m x 4m Infinity edge pool with feature waterfalls flowing into a connecting pond, and an underwater window with views to/from gamesroom bar. Finished with Beadcrete - Daintree. 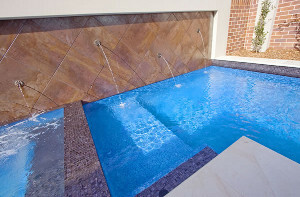 See what our previous customers have done using Beadcrete products for their concrete pools, spas, fountains & water features etc. 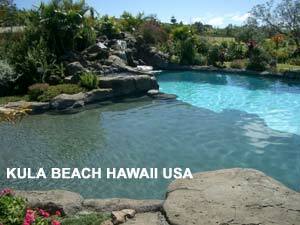 Smooth, colourful and durable for new pools and renovating old concrete pools, spas, fountains & water features, etc. Tough, highly reflective and non-slip for improved motorist visibility on traffic islands, roundabouts, traffic barriers, curbing and for pedestrian awareness features. 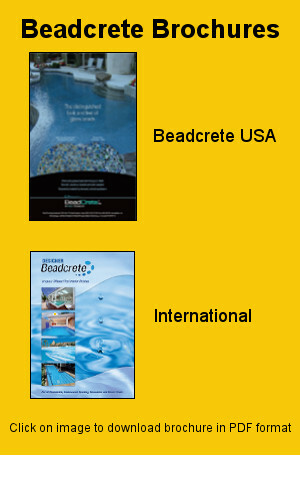 For enquiries concerning Beadcrete inspections, samples, contacting references, distribution opportunities, product diversification and specific installation procedures, please choose your nearest distributor. Please spend a moment of your time and let us know what you think about our website.